Rabbi Chaim Ickovits (Volozhin, 1749 –1821) points out that this miracle is puzzling, since God is omnipotent. 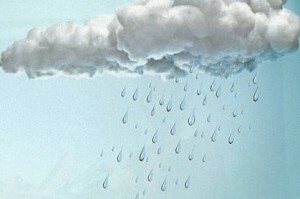 Why would He choose to cause rain to fall on the altar and then prevent the rain from extinguishing the fire, instead of not allowing it to rain in the area of the altar in the first place? 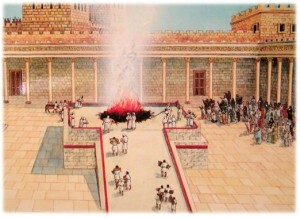 Rabbi Ickovits explains that God wanted us to learn an important lesson from the altar’s fire; despite any deterrents thrown at it, the fire refused to be extinguished and burned as brightly as before. So too, in our own lives, we may decide to institute important projects and promote important causes. But then the rains begin; be it simply naysayers or actual challenges that must be overcome, we often find ourselves with numerous excuses not to follow through on our plans. The altar’s fire teaches us that come what may, we must make sure to persevere.